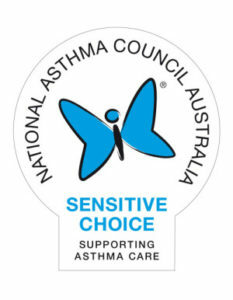 Did you know Daikin air conditioners are the ONLY brand recognised by the Asthma foundation? Dust mites and mould are among the most common allergy triggers. Airflow and humidity levels are big factors in keeping these elements at bay, so regulating any inconsistencies in temperature is essential. Daikin’s range of split system air conditioners and air purifiers are all specially designed to counter these triggers. Furniture, curtains and flooring can harbour all sorts of allergy prompters, so using Daikin products to counter conditions in which these pests thrive is critical for maintaining an environment with anti-microbial properties. This is why our products come with the blue butterfly symbol. All Daikin split systems are designed with an air-purifying filter, with many of our models fitted with a more advanced Titanium Air-Purifying filter. These filters not only trap most microscopic airborne particles, they assist to decompose odours and absorb and deactivate bacteria and viruses. Our Daikin Programme Dry Function system is featured in select multi-split and split system units and rids the room of humidity while maintaining the temperature as much as possible. It automatically controls temperature and airflow rate and will switch into cooling mode if the room temperature increases too much, helping to keep a more balanced temperature and control humidity levels that can produce mould. If you or your family suffer from asthma or allergies, then you need a Daikin split system in your home and breath easier.